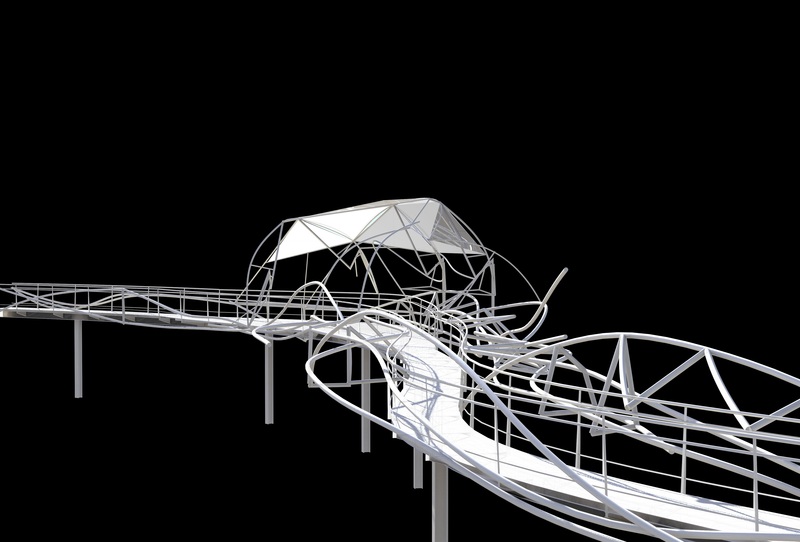 This proposed Canopy Walk was designed to be one element within the “Wild” future park, which traversed an island. 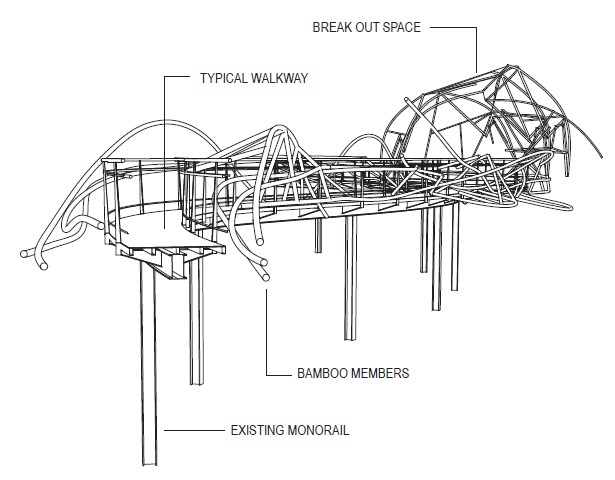 The intension was to convert an existing Monorail track into a wild walkway, and display system, pulsating with life. Using elegant steel framing and timber deck flooring the walkway would satisfy a code minimum width of 1.2 m, extending in places to 2 or 3 m, as part of a series of breakout spaces and displays. Where the track was missing new steel stanchions would be added and a series of 4 x 20 m suspension bridges wiould be constructed – each with a different flooring system. The magic ingredient, through which the “Wildness” would be felt, will be “BAMBOO”. 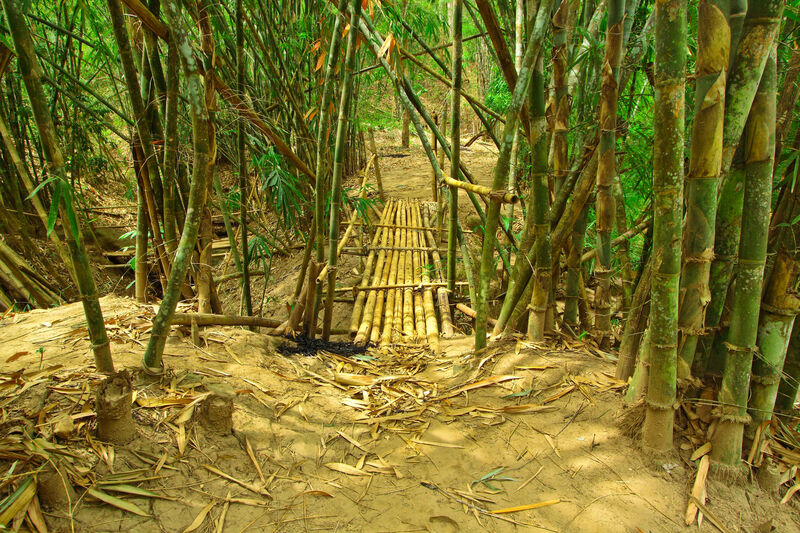 Bamboo is part of the reason for Asia’s great cultural success over thousands of years. It is such a wonderful material that it can be regarded as both natural and extremely high tech. 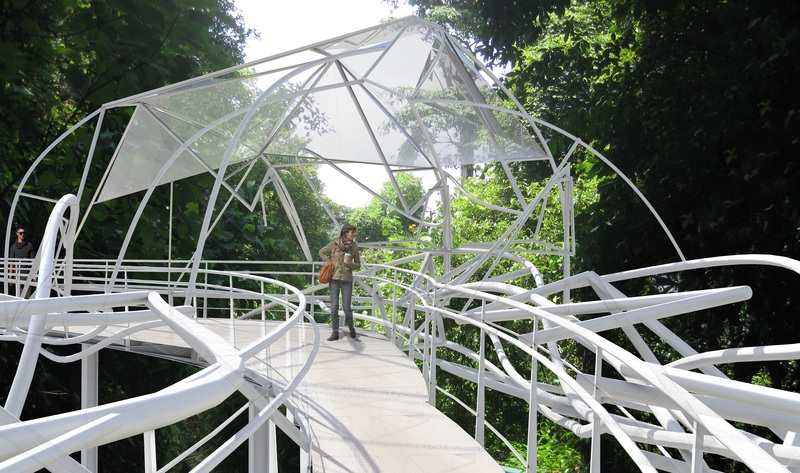 The Canopy Walk required breakout areas for display and interaction. It also required its own shade canopies and extra support systems. We intended to blur the boundaries between the man made steel and concrete and the wildness of bamboo scaffolding, support systems, towers, nests and wild suspension structures. By combining a series of high-tech connectors and stainless steel cable stayed structures, we would be able to add new experiences to the canopy experience for families. The final product was destined to be sculptural and futuristic as well as natural – gone wild. These structures wiould look like they actually grew out of the forest. TouchCloud's association: A TouchCloud initiative in response to an opportunity in Asia. Design and concept conceived and advanced by Principal Architect - Richard Goodwin.